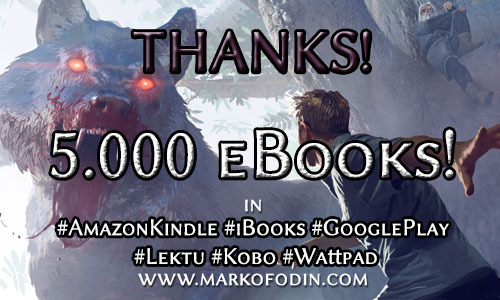 We are proud to announce that this week Mark of Odin: The Awakeing has passed 5,000 readers in the main digital platforms worldwide. This is a new milestone in the first stage of growing of the saga in the English markets. Mark of Odin: The Awakening is available for free as ebook in Amazon Kindle, iBooks, Google Play Books and Kobo platforms.